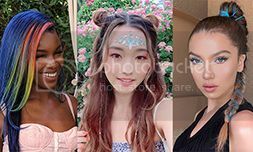 Des Chow – Your personal hair stylist! (No filter) – 100% true Colour! 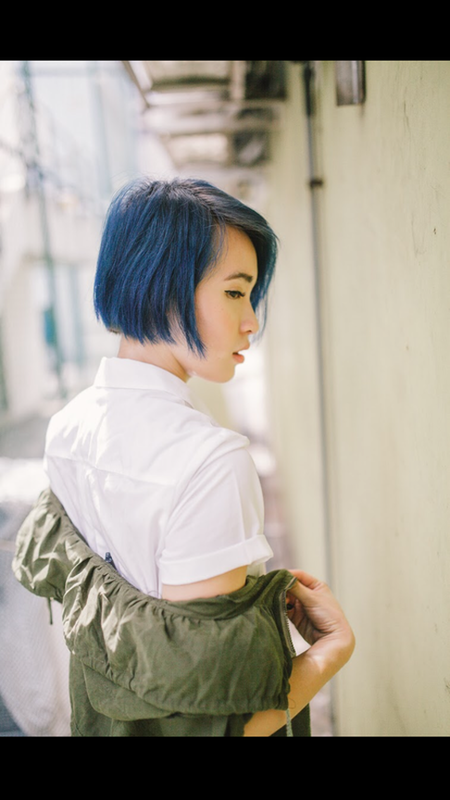 With a blink of an eye, it’s been almost a month of sporting my striking blue hair! I’ve been having mixed feelings about it, because of how vibrant it is. It leaves a very strong impression, and it’s super easy to spot me in a crowd. But well, it kinda affects my job opportunities and also how people see me. I’ve also had people ask me if I cosplay. I don’t. All that being said, I’m still glad I had a go at the blue colour, it’s prolly one of the things you should do in your life for once at least. The hair dye used is by a brand called Pravana. They are colour experts and carry award winning colour products used by professional hair stylists. Of course, I still had to use navy Blue shampoo to maintain the colour but was still really impressed with how blue it stayed throughout the month. The bad part being, I wanted the colour to fade faster and stay less vibrant hahaha but it’s just a personal preference. 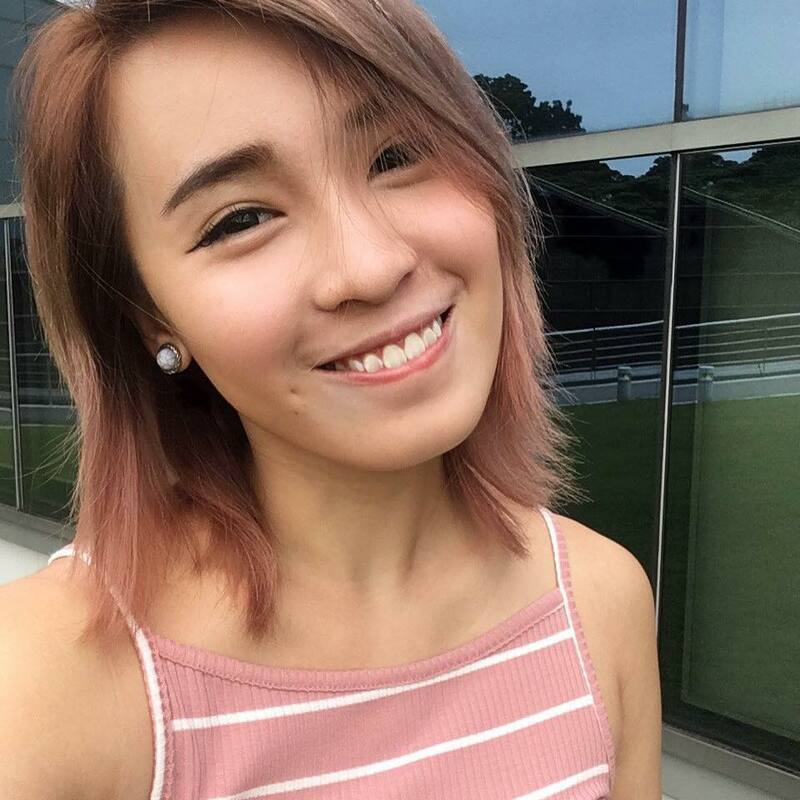 This latest hair transformation was done by Desmond Chow, an award winning free lance hair stylist. 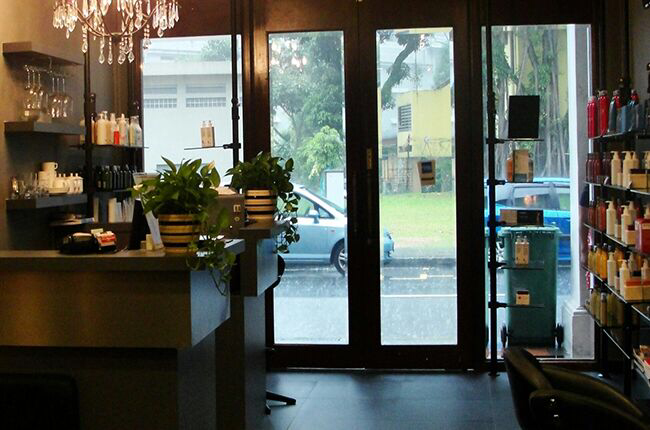 Desmond was awarded the SG Hairdressing Award Newcomer Of The Year in 2003 and in 2004 -Wella Trend Vision. 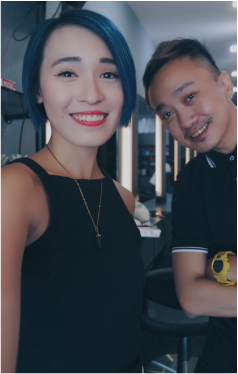 He is currently based at Envy Hair Salon (https://www.facebook.com/DeserveEnvy/) which is conveniently located walking distance from Tanjong Pagar MRT. 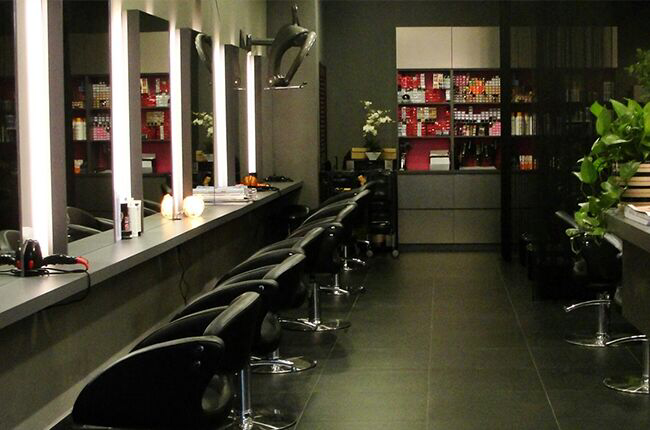 The interior of the salon is also really cushy and stylish. Check out the wide range of products they carry! Love that chandelier as well. Comfy leather seats, plugs for you to charge your mobile. 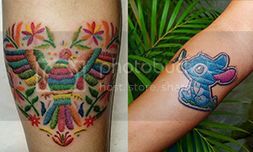 and he will give you very professional advice on what would look the best on you! he’d gladly still do it for ya. 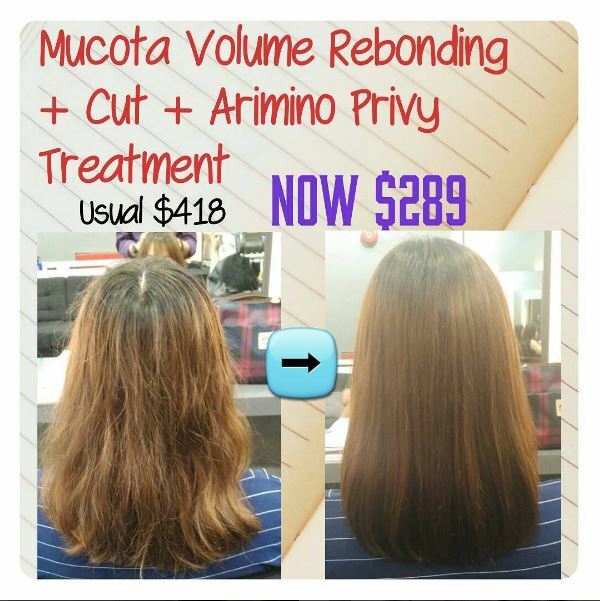 If you’d like to arrange Appt with Desmond, SMS or WhatsApp 9740 7909. Only need to give him notice 2 days in advance! He’d give you his utmost attention throughout the session, no seats hopping! 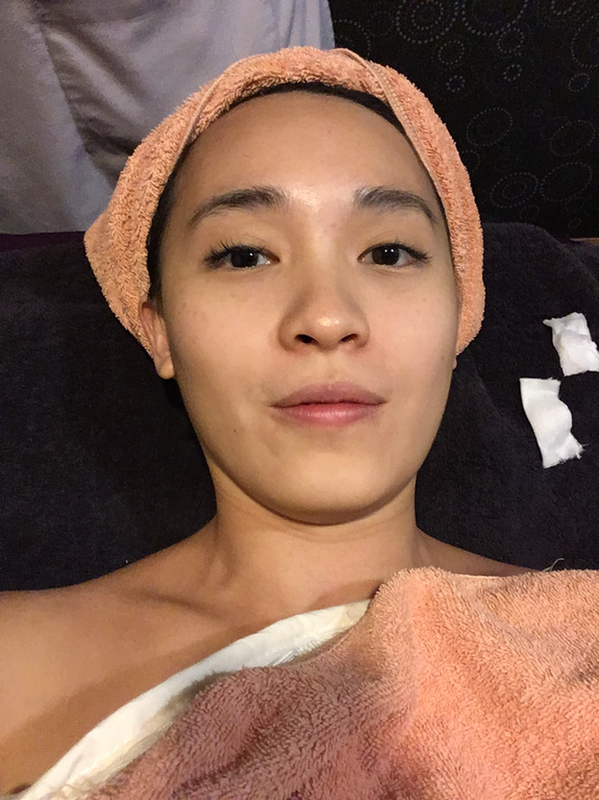 For all first timers, you get to enjoy a 20% off all services by quoting “amandayong” and following Desmond on Instagram (https://www.instagram.com/des.chow/). ​Here are also the latest offers provided for GSS 2016!  46 Peck Seah Street S079316, Envy Hair and Nails. Monday to Saturday: 11am to 8pm. 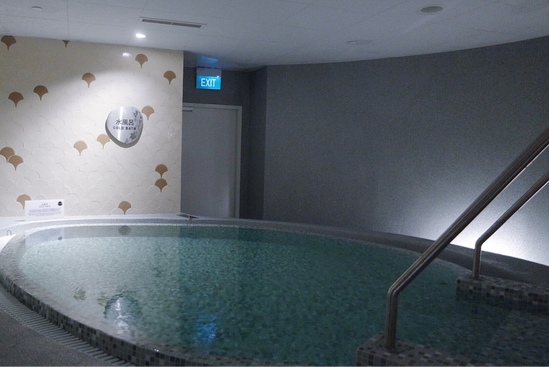 Yunomori Onsen & Spa, Leading Authentic Japanese Onsen in Southeast Asia Finally Arrives in Singapore! I’m sure you’ve heard of the hype, it’s all over social media. Was super honoured to be amongst the first to explore Yunomori Onsen & Spa (Yunomori)’s very first outlet at Kallang Wave Mall L2. 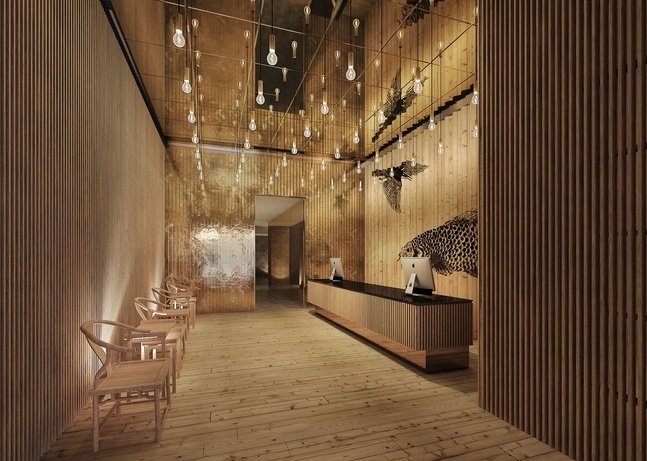 Yunomori is renowned for its unique experience of marrying both authetic Japanese and Thai therapies – onsen therapy and Thai spa treatments. 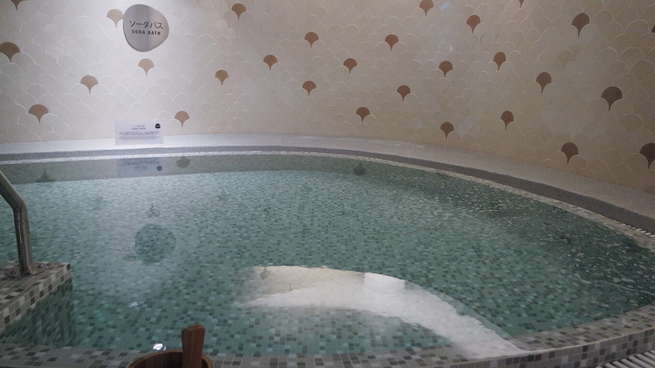 Using the natural healing properties of mineral water and benefits of spa treatments, these relaxing aquatic therapies can cater to the health needs of everyone! Let me bring you on a tour around the place! 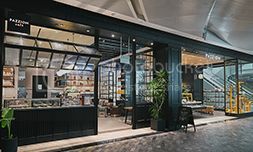 Forgot to take an actual photo of the entrance but it is very similar to this. 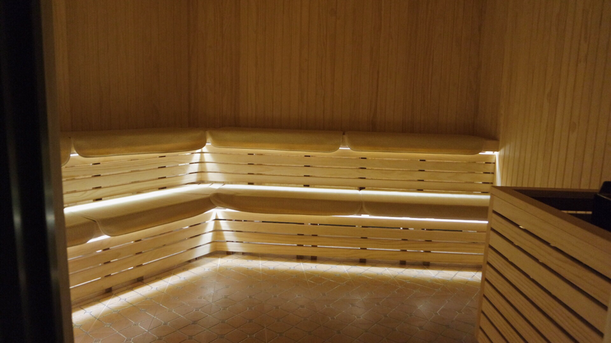 There’s a lot of wood and natural materials used in the onsen to create a very relaxing place of respite. The yukatas available for males. ​(and yes, you do need to remove all your clothes. 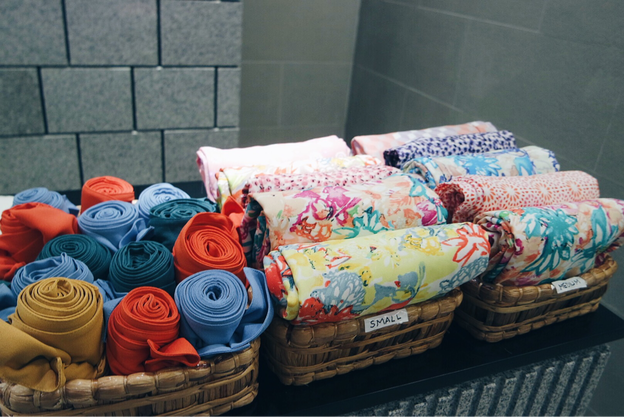 Female Yukatas are brighter in colour and are available in 2 sizes. If you’re not comfortable going full monty (naked), you may request for a tube top and some undies that you can wear into the bathing pools. 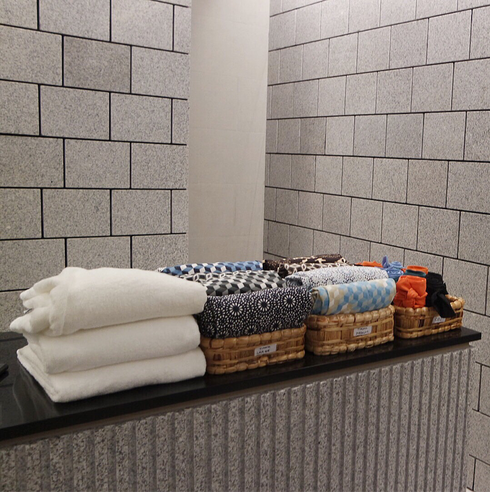 ​while you enjoy the facilities of the onsen. 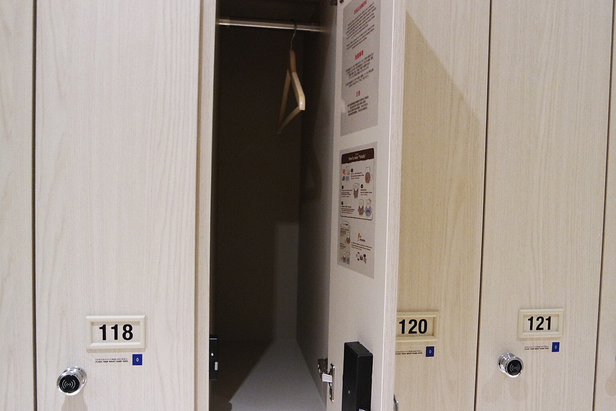 There are also hangers provided to ensure that your clothes do not get crumpled. The locker works via a key fob so simply tap your fob on the black knob and twist. So please leave them in the locker! Counters available to dry your hair, do your makeup etc. These showers are super interesting cause you sit down on the stools provided to shower. This is to prevent customers from spraying/splashing water at each other accidentally during a shower. In house shampoo, conditioner and soap provided for use. Their spa products by Puri Alchemy are 100% organic and chemical free. The brand has won numerous awards as well. Body masks, scrubs and massage oil are also available for sale. Now that you’re clean, let’s hit the tubs! which help take away all your stress! Features tech imported directly from Japan! Imbued with nutrients of carefully balanced minerals. 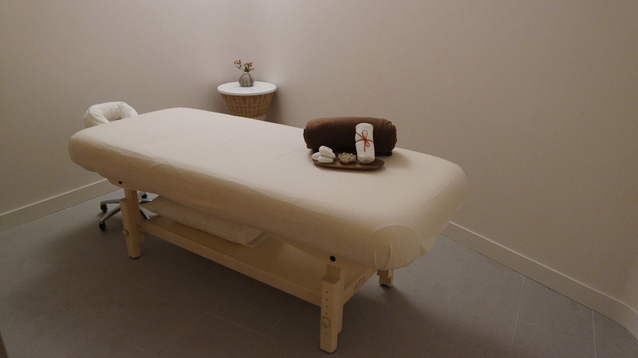 The arranged temperature and foam will help create a holistic, rejuvenating experience. 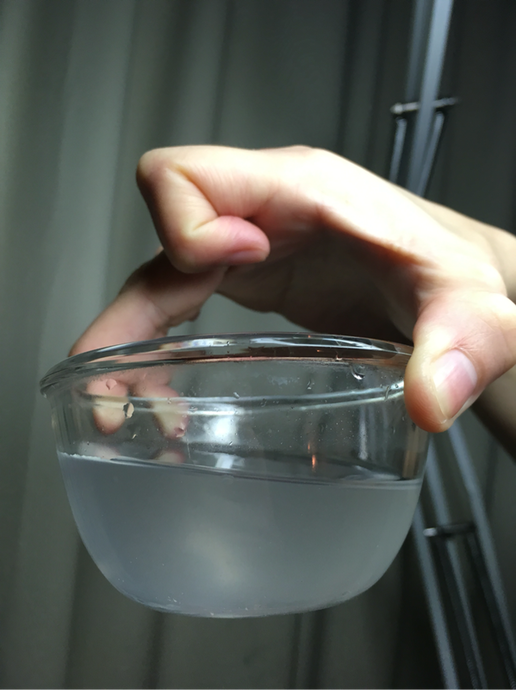 The silky hot water reacts with large amounts of micro-bubbles containing hydrogen. alleviate problems such as rheumatic, arthritic aches, pains and mental stress. 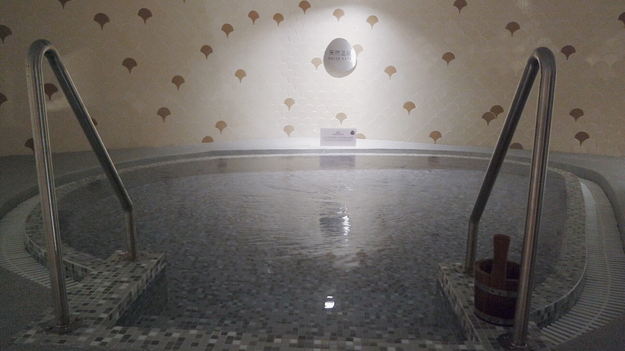 ​Enjoy as the bath nourishes your body tissues, tighten the skin and improve skin elasticity! ​and muscular tension, as well as detoxify the body. The hot bath is only available for the men. The water is set to 17 to 19 degrees. 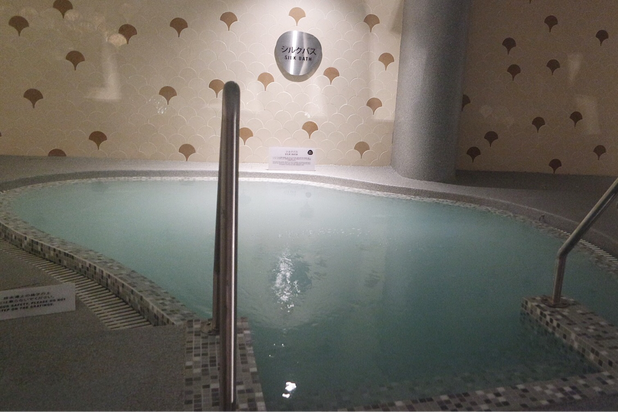 The water will stimulate the body’s natural energy and nerve endings. It can also boost anti-ageing effects by closing the pores and tighten the skin! I’ve also heard that going from the hot bath to the cold bath can help improve your blood circulation! So it is advised to cool down using the cold bath or rain showers once you’re done with the hot baths. To encourage perspiration for ultimate purification. Helps to rejuvenate the skin, improve blood circulation and relax the body and mind. 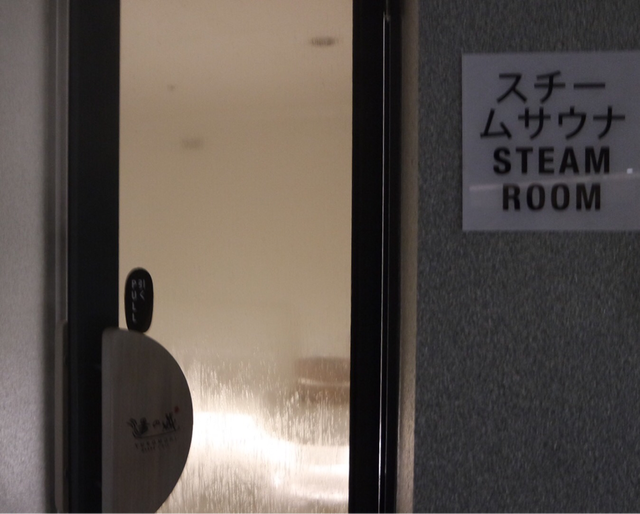 Guests are reminded to rinse sweat off after using the sauna and steam rooms. For an even more relaxing time, try out their massages as well! Uses acupressure and deep-assisted stretches to balance your essential energies, improve flexibility and stimulate circulation. Blends the best massage techniques in the world. The fragrant essential oils boost the effects of the massage with their natural healing benefits. Problems such as headaches, muscle and tendon injuries as well as aches and pains will be alleviated. ​An art that has been preserved for thousands of years, this combines the benefits of Thai massage and Thai herbal remedies. Aromatic medicinal herbs are cocooned within a cloth and steamed to release their healing propertiies. These are known to help with stress, anxiety, chronic pain and arthritis. There are private rooms available, single and couple rooms as well! Love the minimalist touches in the room. Notice that all the corners of the room are curved to help you really relax and feel comfortable. 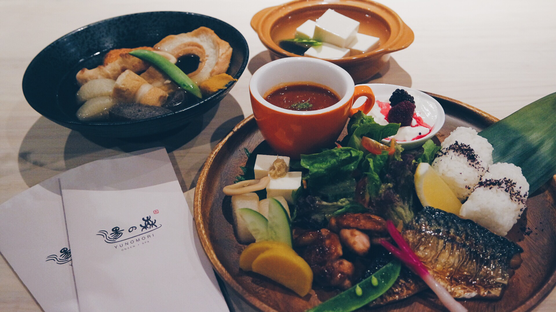 You don’t even need to leave the onsen for your meals. I strongly recommend going for the onsen eggs and salmon skewers! 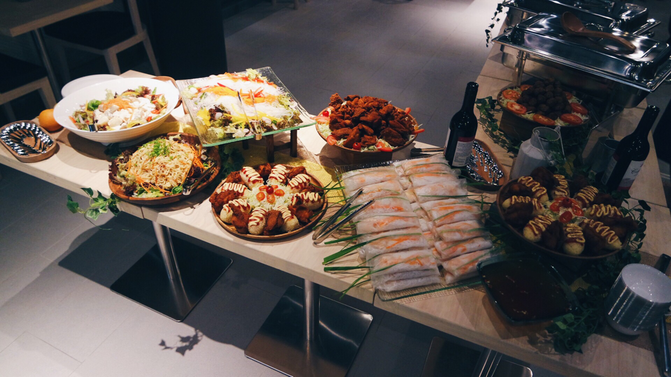 Nutritious beverages, refreshing and traditional Japanese desserts and light savoury bites are also freshly made and available. Also, FREE WIFI available here!! 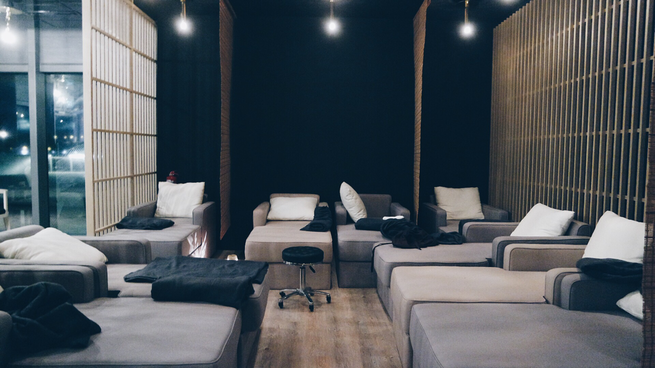 ​where you can do foot and shoulder massages! 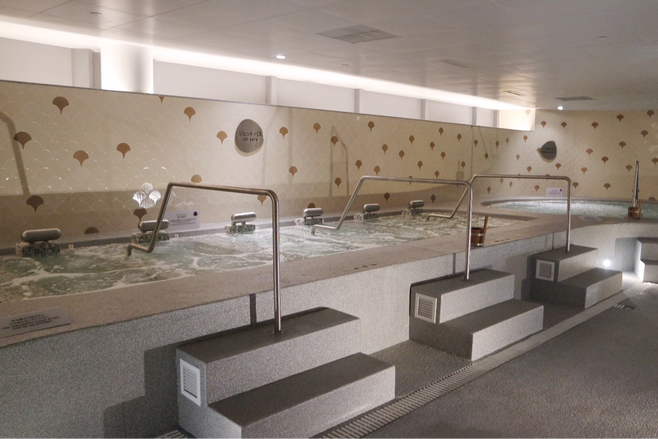 This gives you access to the onsen for the ENTIRE DAY (10AM-11PM)!! 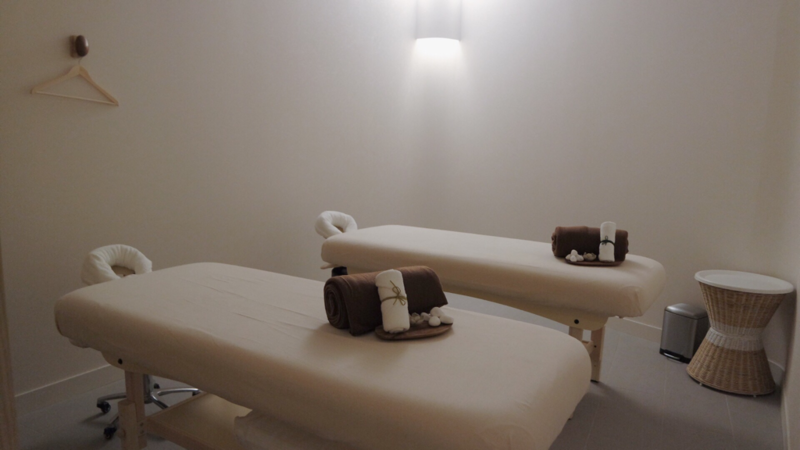 Don’t forget to add-on massage and spa treatments as well for the most relaxing experience. BUT, I’ve always known of the importance of a regular facial to maintain your skin so I was ecstatic to be working with SkinPerfect. 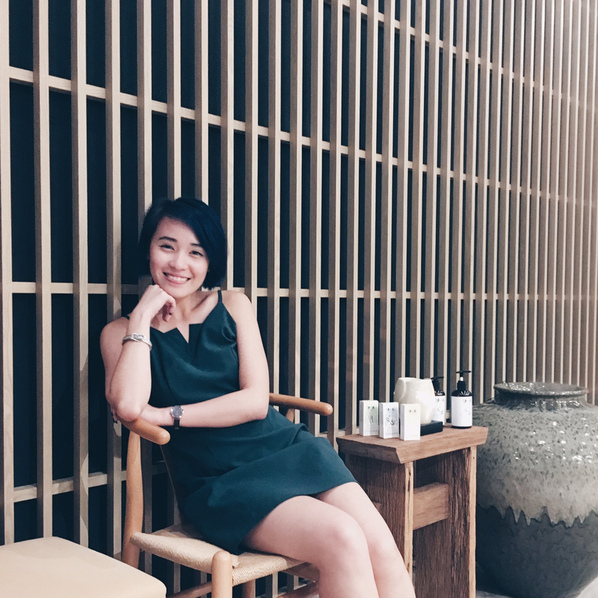 SkinPerfect’s goal is to provide the best skincare solution where their treatments are based on science, expertise in ingredients function and innovation to create specific skincare treatments. They have won various awards such as from SimplyHer Smart Shopper 2014 and Harpers Bazaar 2015 – Best Skin Corrector! Was really excited to try out their award winning services for myself. To start off the facial, I went into the consultation room with the outlet manager, where she did a skin analysis for me. 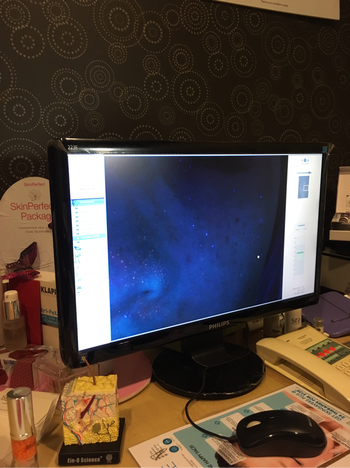 SkinPerfect uses an advanced computerized skin analysis system that magnifies the image of your skin beyond the naked eye. Then, a detailed consultation will be conducted, mapping out your facial skin issues. I was really impressed with the skin analysis, definitely the most accurate and advanced system I’ve ever seen! Hence I was recommended to do the PPL treatment which can also target pigmentation. 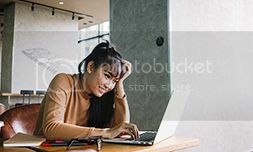 What does PPL stand for and what does it do? – Does not cause trauma, redness, or thinning of the skin = NO DOWN TIME! 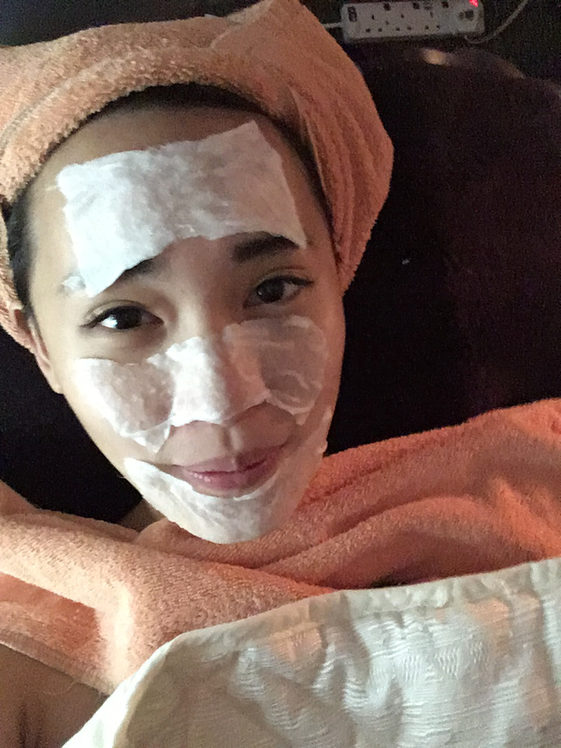 Let’s take a selfie before the facial! A tube dress is provided for you to change into. The impurities on my face that got removed by the pore packs!! Okay I know I look damn weird like alien but this was for the PPL treatment. They pulse a very strong light into your skin so goggles are provided to protect your eyes. The light is able to penetrate within the layers of your skin and perform wonders! As you can see, no redness = no downtime! 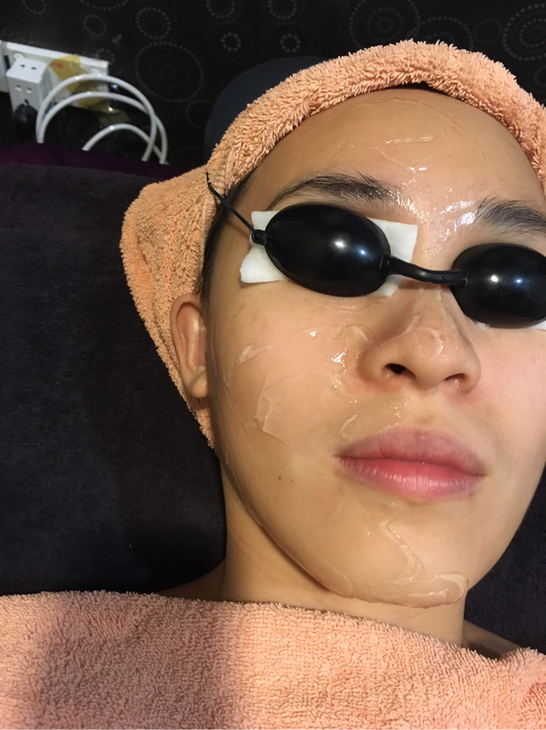 Immediately after the facial, you can continue your daily activities with no fear. 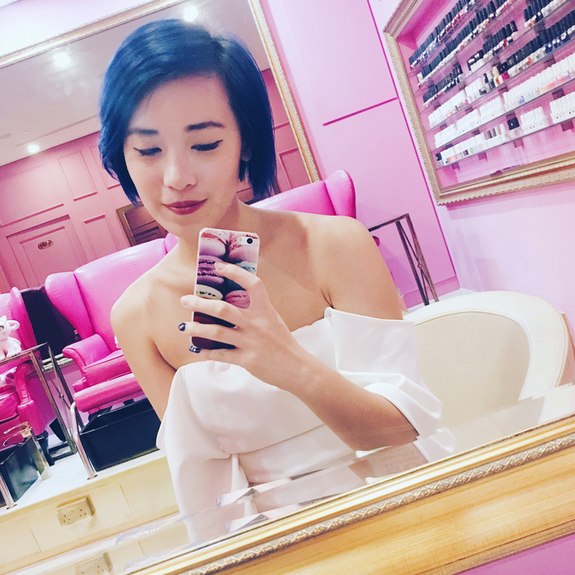 My skin also looked more radiant, pigmentation lighter in colour and my skin felt firmer! 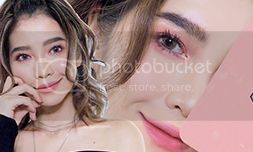 The Complete Facial Programme costs around $300. But be rest assured that you’d get your money’s worth! The technology and machines used by Skin Perfect are really great and I’ve never been this impressed with a facial! Tampines One >> #04-30, Tampines Central One. 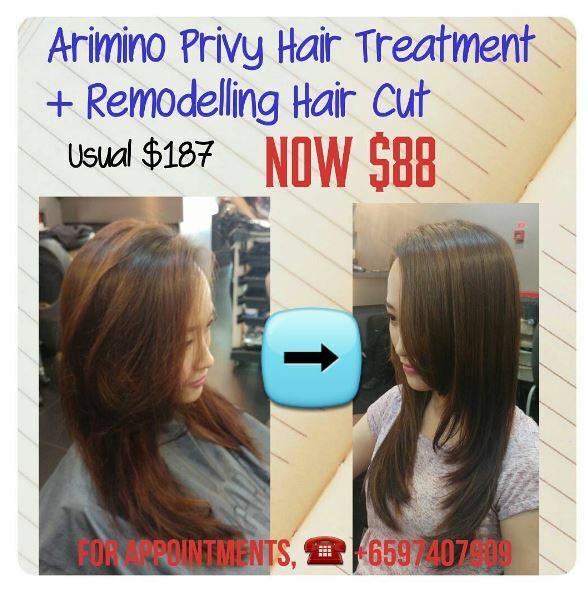 Pink Parlour SG Hair Free Day! 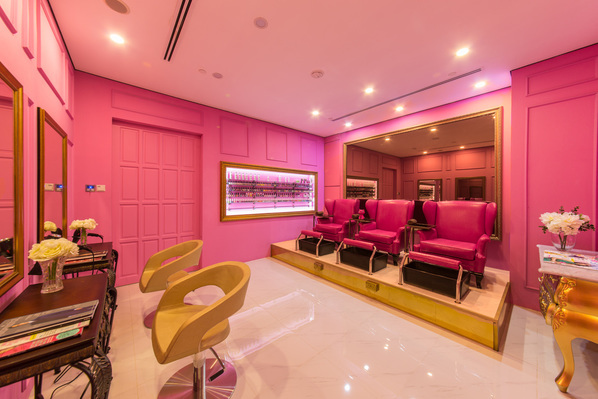 Pink Parlour held their most recent Hair Free Day on 21 May at their Prestige outlet, Capitol Piazza B1. PP offers grooming services such as waxing and tanning. Walk-in visitors enjoyed one bikini, Brazilian, under-arm or half- leg wax treatment at a special rate of $10 nett!! 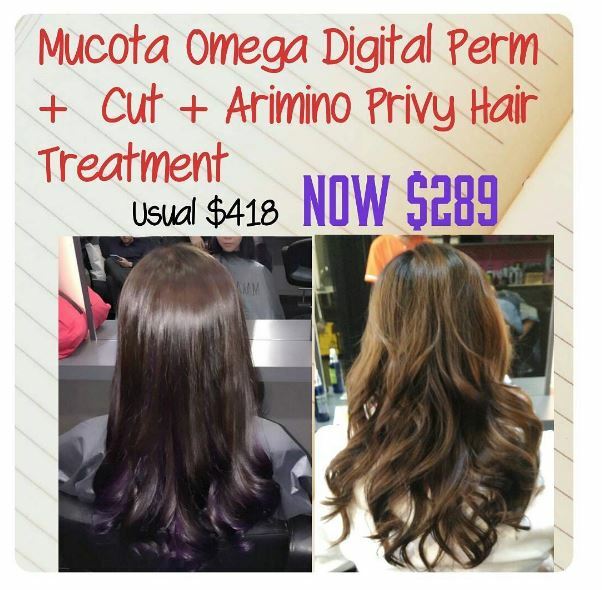 ​Saw a lot of good reviews on social media so when they were running this promo, I had to squeeze some time out to try out their services for myself! Super attracted by the posh and pink look of the store! You can also get your nails done here. 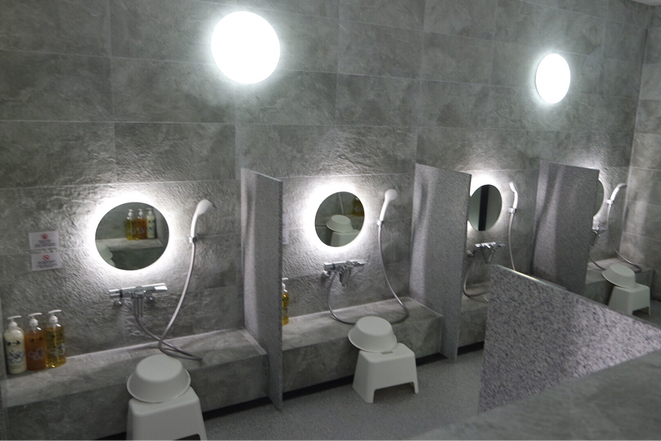 They have a shower as well, for customers to wash up before their Brazillian wax session. It was relatively painless and waxing really has a much better result! The subsequent hair growth is also slower so you don’t have to constantly worry about hair removal. Check out all their social media platforms and keep in touch for their upcoming promotions. Of course, do make an appt to try out their services for yourself today! Introducing the FIRST ever makeup removers that use natural Konnyaku to remove makeup and oil gently, from your deepest pores. The best part: You may use it in the shower! Simply massage the jelly all over your skin and wash it off. 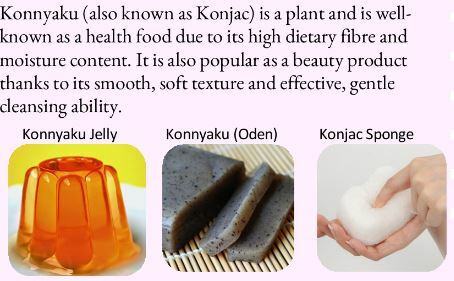 The jelly like texture is smooth and cushions your skin against the rubbing motions and friction. 2) Non-greasy and gentle, giving you moist and refreshingly soft skin! 3) Glides on super easily without tugging at your skin. 4) Saves you lotsa time = more rest time! 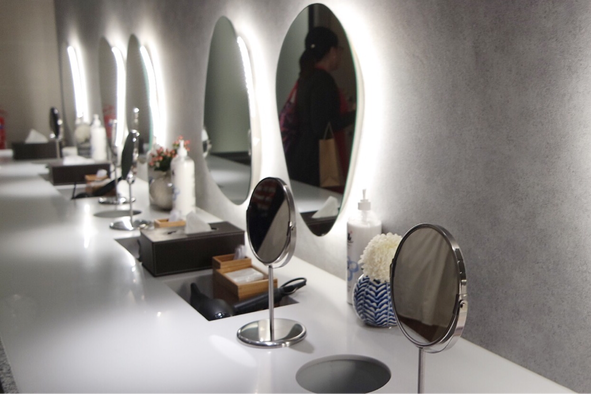 Bifesta specializes in only makeup removers, so you can trust your skin to be thoroughly cleansed by them! Thank you Bifesta for coming up with this amazing and innovative product. I was so amazed at how easily it could remove my makeup, even for eyeliner! 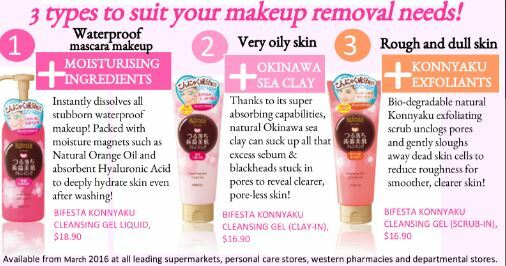 Been relying on the one with Okinawa Sea Clay to remove my daily makeup. Check out the pic below to find out which suits you the best! Get yours today, no regrets!